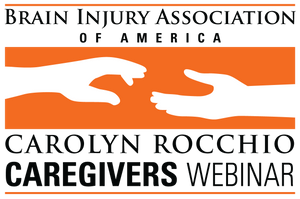 A Carolyn Rocchio Caregivers live webinar featuring Ned Solomon, Director, Partners in Policy, Tennessee Council of Developmental Disabilities. Airs live at 3 p.m. EST November 6, 2019. Registration closes at 11:59 p.m. EST November 4, 2019. Registration closes at 11:59 p.m. EST November 4, 2019. What is Supported Decision Making? How can it be used to help people with brain injury live as independently as possible? Figuring out the appropriate level of support that a person with a brain injury needs can be challenging. Families and providers may struggle to understand the range of options available to help a person make decisions about his or her life. Too often it is assumed that a person either lives independently or requires a guardianship or conservatorship. This webinar will discuss the concept of Supported Decision Making, how it can be implemented, and what resources and information are available.